Before We Were Banned is a group art show in response to the Muslim Ban 1.0, opening on Friday January 26 at 6pm at ArtHelix in Bushwick, NY. The show focuses on artists residing and working in the US, but with familial lineage/ heritage/ roots to the 7 countries on the Muslim Ban 1.0 list – Iran, Iraq, Libya, Somalia, Sudan, Syria, and Yemen. 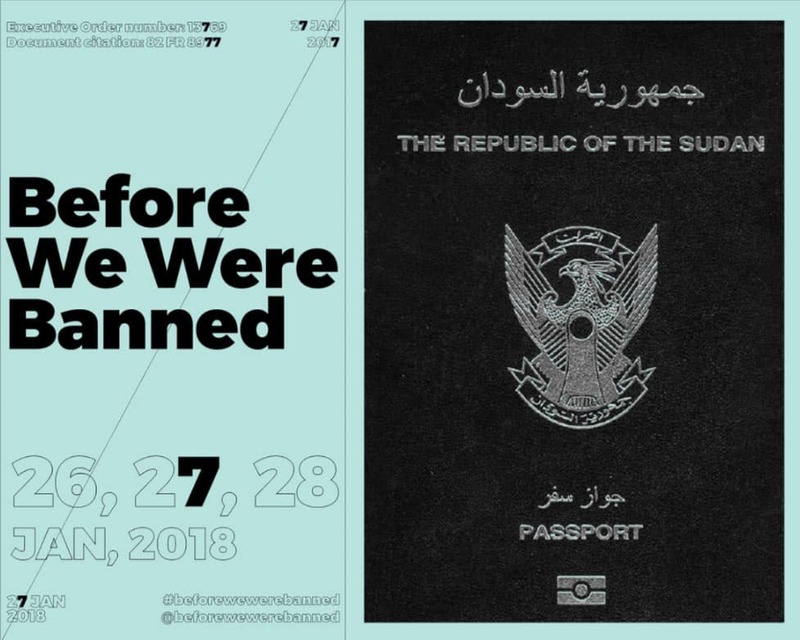 Before We Were Banned seeks to examine the complex nature of identities assumed as immigrants in US [from those countries] long before/after the ban was announced in an effort to reveal honest representations of those affected and also to heal the community. Questions posed to artists included, ‘What does home mean in a place that actively opposes your existence? And What does home mean when visiting (or are not legally able to) your home country?’ These themes are explored through mediums like multimedia installations, video art, photography, printmaking, collage and painting. Select merchandise, books and publications from the diaspora will also be showcased during the show. The event is hosted by SHIM at ArtHelix and is curated and organized by Brooklyn-based Iranian-original duo, Kiana Pirouz and Mahya Soltani.